The MICRO Trike is a giant breakthrough in urban mobility! 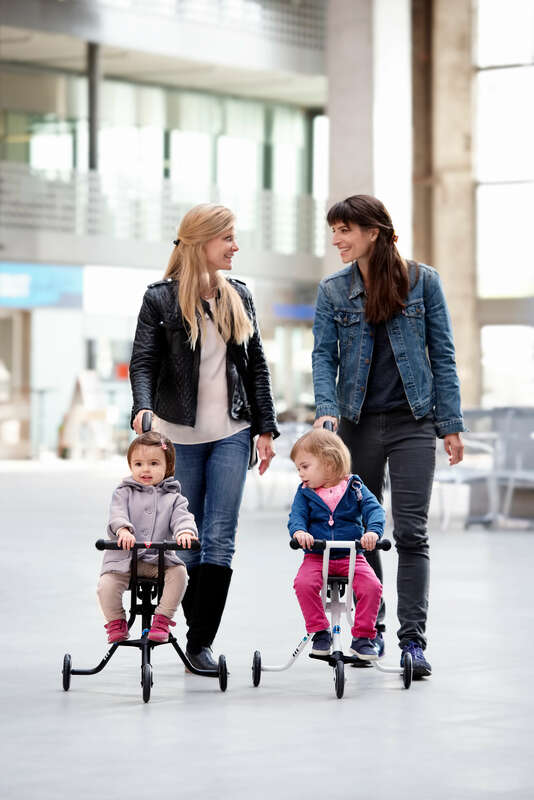 Ultra lightweight and super compact, the exceptionally agile MICRO Trike is the perfect solution for tired little legs when shopping and sightseeing with your youngster. Great for kids 18+ months who no longer need to nap in a stroller but still need the reassuring back-up of a set of wheels to take over when tired of walking. Its small footprint and super short turning radius makes navigating most crowded locations such as shops, cafes, museums and airports so much easier. With its almost tricycle-like handle bars and adjustable foot rests, the MICRO Trike engages the young rider while on the go and that means a more occupied, happier child. 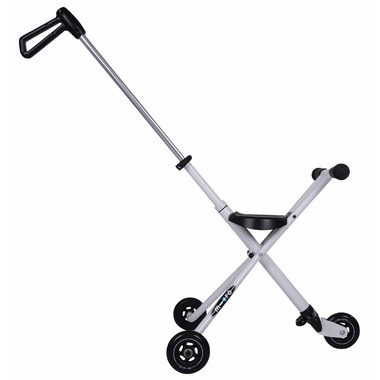 An extendible handle gives parents full control of speed and direction making outings are less stressful for everyone! When not needed, the folded MICRO Trike can hook on to a backpack or shopping cart and is compact enough easily fit into the smallest of vehicles or even bicycle trailers. 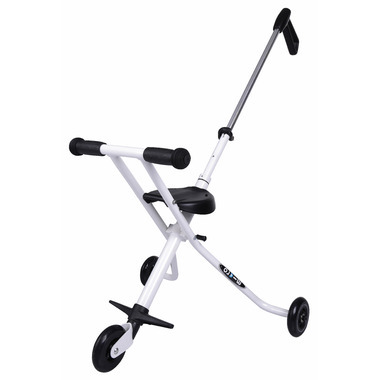 Premium quality Polyurethane MICRO scooter wheels and the smoothest ball-bearings make the MICRO Trike stable and safe on any hard, smooth surface. The innovative MICRO Trike is easy to use, fun to ride and makes any day out in the city with kids that little bit easier. Riders must wear head protection. Adult supervision required. Please follow safety guidelines included in package. My kids and I love this tiny â€˜strollerâ€™ very compact, light weight, going through airports is a breeze and kids love it better than stroller. 19 m old and 3.5 yr old were loving all the attention they were getting for their cool â€˜ strollerâ€™ at the airport, people wanting to take a picture so they can buy it too for their kids, going through the malls was so easy aswell. We also have the lazy luggage from the same company. Love that aswell. The best thing ever for those who need or like to walk a lot and kids cannot keep up. It is very light, it folds flat you can go anywhere. The only thing is that you need to get use to steer it properly (gradually and without sharp movements). Also it is not for small toddlers, I would say no less than 2 years old.